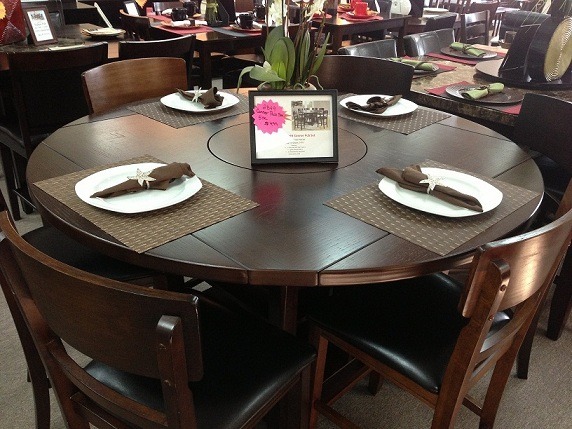 This is a highly functional piece featured in a dark brown/espresso finish. Can be round or drop the leaves and make it square. Beautiful storage under the table for wine bottles, decorations, books, or even extra kitchen supplies. This top has a 1.5 inch thick top. That is thicker than any on the market today.